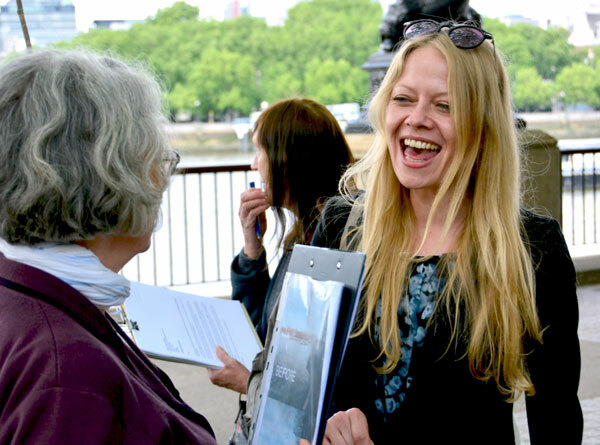 There are two Green Assembly Members in City Hall – Sian Berry and Caroline Russell. 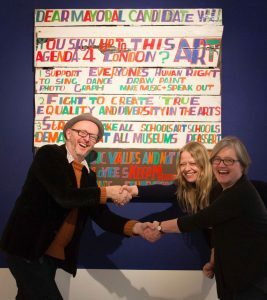 They were elected in May 2016, taking over from Darren Johnson and Jenny Jones who had both represented Londoners on the Assembly since the very first elections in 2000. 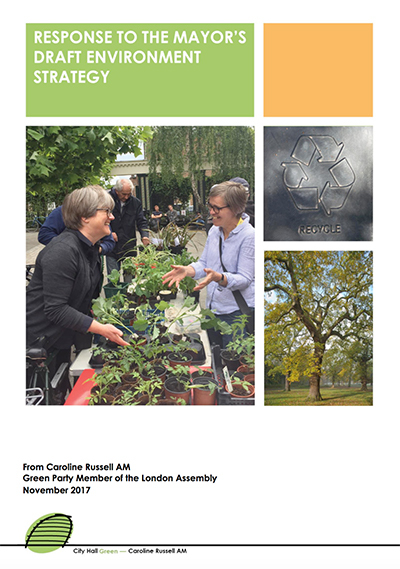 Here you can read the latest news from Sian and Caroline about their work on behalf of Londoners. 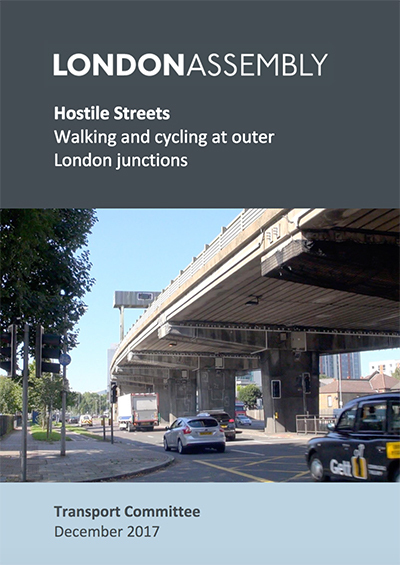 “The reality our investigation uncovered, is that many roads in outer London sever communities and are hostile places for people getting about on foot and by bike. 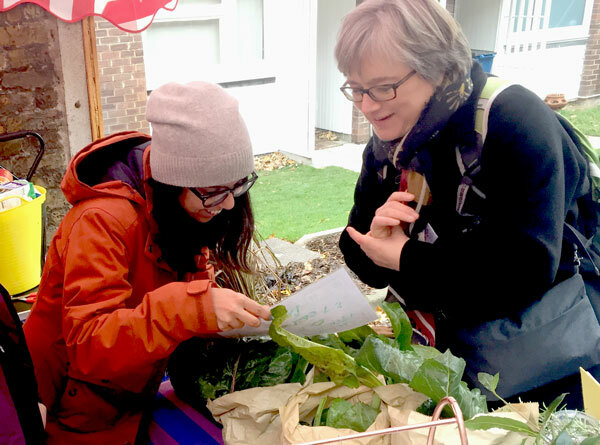 “While I’m pleased to see walking and cycling is at the forefront of the Mayor’s Healthy Streets approach and draft Transport Strategy, there is a lot to be done in outer London where most of the untapped potential lies. 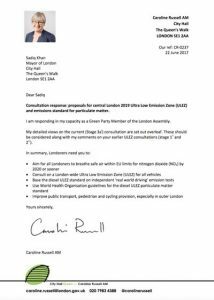 “In recent years most of the Mayor’s funding has been spent in inner and central London and decisions around new road schemes have prioritised car use and inappropriately high-speed limits have been all too common. 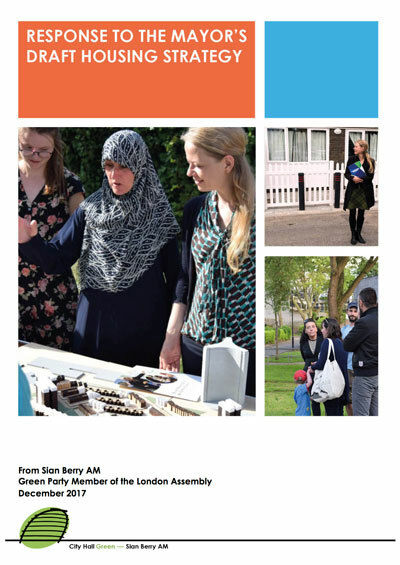 The Mayor is publishing a range of major strategies that will guide his work and policies and the Assembly has an important role in scrutinising and changing these. “The Mayor’s housing strategy and what he achieves is what he will be judged on at the end of four years, he has to get this right. 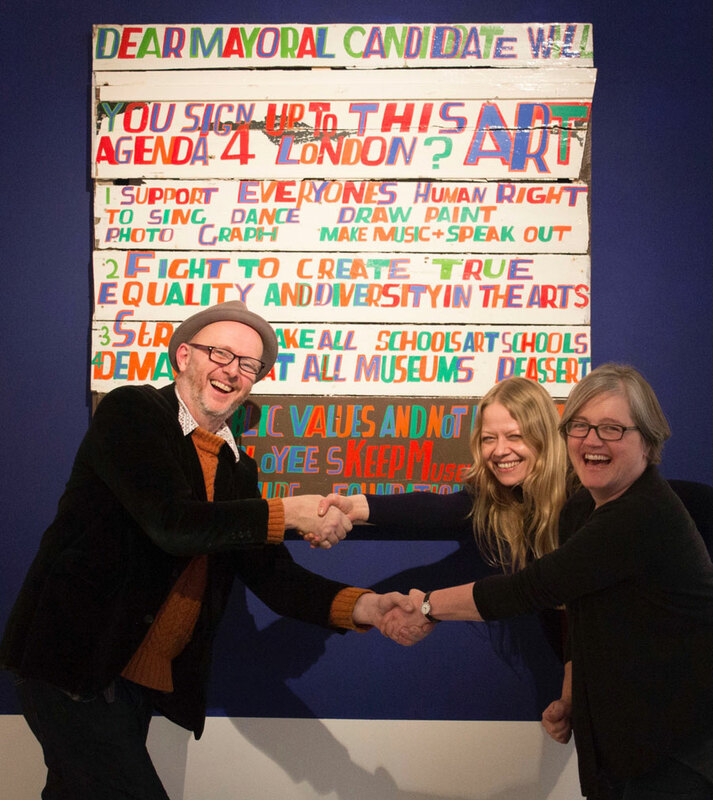 Londoners cannot be let down by two successive Mayor’s on housing. “It’s very good news that the GLA will be actively buying land for publicly-led housing. I was also pleased to see the Mayor outline some support for community-led homes. London needs 16,000 new social rent homes every year – but since Sadiq Khan took office not a single one has even been started under Mayoral schemes. The Mayor needs to roll up his sleeves and do more to speed things up. ‘Day-to-day affordability is all that matters to most Londoners, especially private renters like me, but the Mayor’s commitments to truly affordable rents have been watered down. The definition of affordable rent is not restricted to the Mayor’s new London Living Rent, leaving developers free to argue for the Government’s definition which is up to 80 per cent of market rates. “Tackling climate change is the defining challenge of our time. London should be at the forefront of change but the Mayor’s environment strategy falls short of the action needed to meet our Paris climate change commitments. “London is not ready for an extreme weather event. It’s at serious risk of floods from heavy rainfall, heatwaves and water shortages. Climate disruption around the world also puts our complex food chains at risk. We need a resilient city that can weather these storms. “While the strategy acknowledges these risks, it’s targets and programmes don’t even come close to the preventative action that is needed now and over the next decade to protect Londoners, wildlife and biodiversity. “This strategy seeks to embed health as a cross-cutting theme across all the areas over which the Mayor has responsibility. This is the right thing to do. 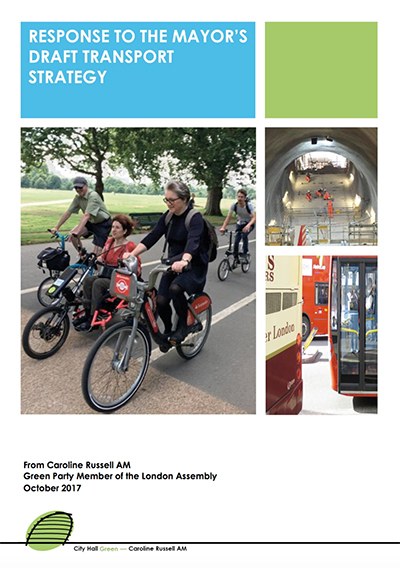 I also welcome the progress Transport for London (TfL) is making in mainstreaming health through the Healthy Streets approach, and the recognition of the impact on physical and mental health of some of the proposals in the Mayor’s environment and housing strategies. 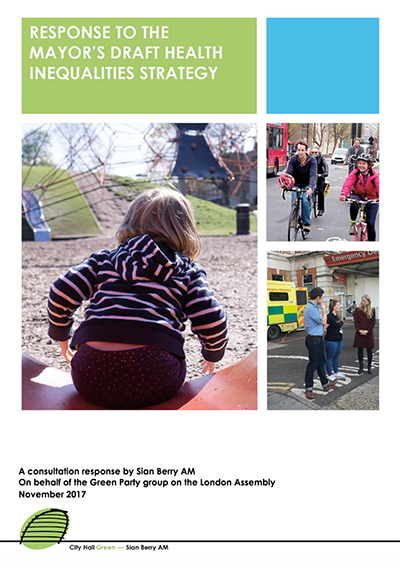 “However, while the Mayor has provided an overview of his aspirations and outlined a general approach to reducing health inequalities in this strategy, it is not yet a delivery plan with measurable targets. He is relying on a wide range of organisations to act to progress his vision but, as Mayor, he is ultimately accountable for the success or failure of his final Health Inequalities Strategy. He must therefore publish a set of performance indicators against which his progress on achieving his objectives can be gauged. We can only judge the Mayor’s intentions at this stage rather than his ability to deliver on them. “The Mayor’s vision for inclusive, healthy streets is timely. Londoners are ageing and increasingly inactive, suffering from the health impacts of polluted air. Better street designs could help people build exercise into daily journeys, cut pollution and make the city an altogether more pleasant place to live.